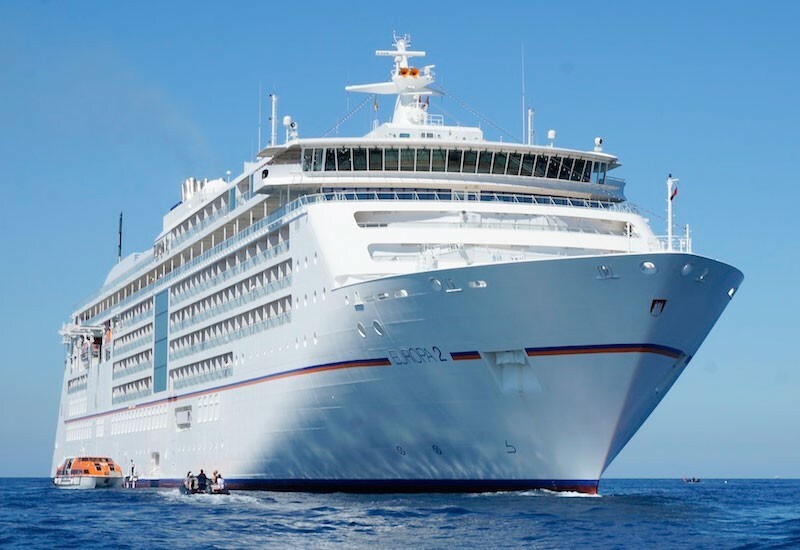 You will join the EUROPA 2 on the New Caledonian island. Spend the morning on Yedjele Beach however you wish with swimming and sunbathing. The capital of Fiji is much more than just an idyllic South Seas landscape: a tour* will present highlights such as the exotic fruit and vegetable market and the Fiji Museum with exhibits from the Bounty. Take a Zodiac ride to the pristine shore, where you will be welcomed by shady trees, soft dunes and white sand. Writer Robert Louis Stevenson fell in love with the black beaches and lush green vegetation. You can visit his house on a tour* through the city with plenty of colonial charm. Zodiacs will take you to the beach at Fagamalo. For more active alternatives, explore the fascinating lava fields and the traditional village of Mauga at your own pace with plenty of photo opportunities. The main island and a “string of pearls” of uninhabited neighbouring islands surround a triangular turquoise lagoon. Take a boat* to the small islands, where you can snorkel between the coral banks. A typical fish barbecue* will add the finishing touch to this South Seas fantasy. The largest of the Cook Islands is volcanic in origin and covered in lush rainforest. Explore the local flora and fauna on a walk through the forest*. For an enticing alternative, ride in a glass-bottom boat on the Muri Lagoon* to one of the small islands – naturally with great opportunities to snorkel and swim. On a tour*, you will see the mighty Mount Otemanu volcanic massif with a stop at the island’s most beautiful beach and the legendary Bloody Mary’s bar. Spectacular views await you on a helicopter flight* over this island paradise. Circle the lagoon on jet skis* with stops to swim and cool down. Explore the green valleys in jeeps* and visit one of the most important religious sites in Polynesia, the temple ruins of Marae Taputapuatea, which still have a magical feel. The vibrant capital of French Polynesia has plenty to discover: the market hall, Pomare boulevard and the Gauguin Museum. A tour* to the island’s two mighty volcanic massifs is also impressive: the route includes Venus Point, the exotic Vaipahi Gardens and one of the island’s most beautiful black beaches. ** Depending on the flight schedule, a change to the travel arrangements to the cruise departure point may be necessary.